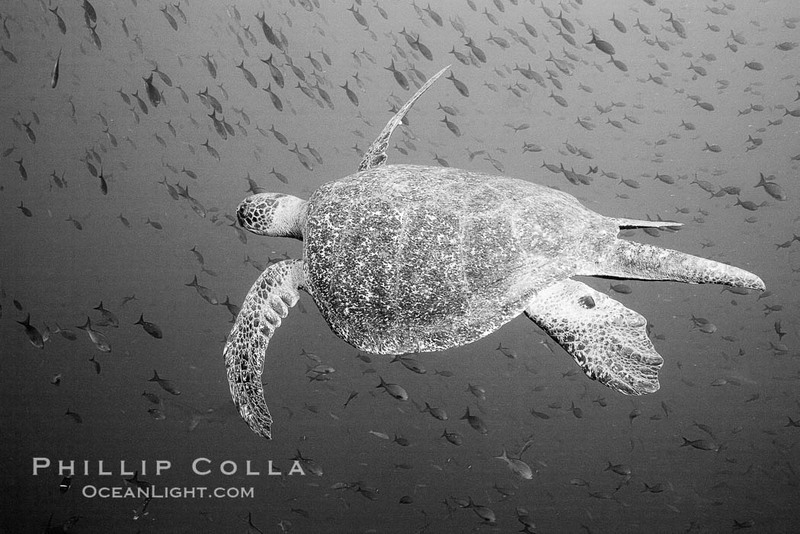 I have made a lot of dives in the Galapagos Islands, and one of my favorite creatures to see underwater is the sea turtle. The ungainly-looking animals are actually quite hydrodynamic and can navigate the surge, currents and waves to graze on algae along the reef. These two turtles were encountered at remote Wolf Island (Wenman Island) in the far northern reaches of the Galapagos archipelago. In the first image, a school of ever-present Pacific creole fish surrounds the turtle; its distinctive tail gives away that it is a male. Cheers and thanks for looking! 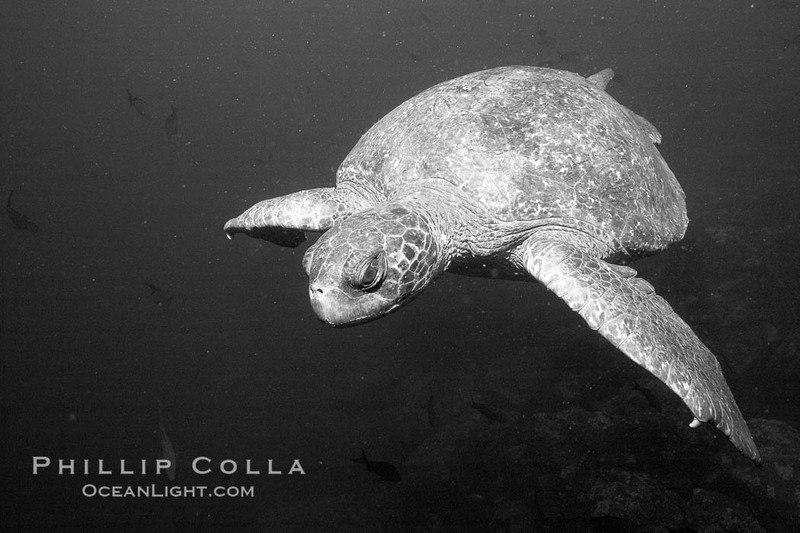 Sea Turtle, underwater, black and white.